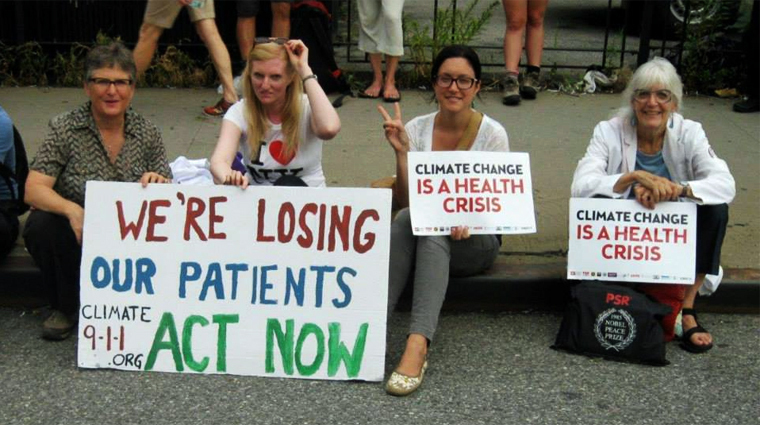 On Sept. 20, 2014, PSR-NY members joined other healthcare professionals and health advocates to represent health and mental health concerns at the People’s Climate March in New York City. I walked as a New Yorker, a doctor and a proud member of Physicians for Social Responsibility. It was awesome and powerful to be part of an event with more than 400,000 people participating. Together we formed the largest environmental march in history. For more information on the health effects of climate change, visit PSR’s resource page.